Finished in Blue Camira Aquarius Smurf wool fabric suitable for home office and business use our Sayl Blue chair is both stylish and practical. 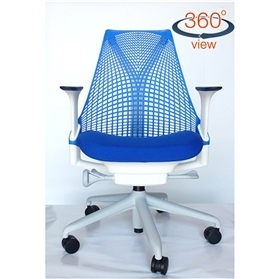 With its synchronous movement mechanism and forward tilt you will never be more comfortable in an office chair of this price range. With the 12 Year 24 hour use guarantee from Herman Miller you won't need to worry about buying a new chair for a long time. 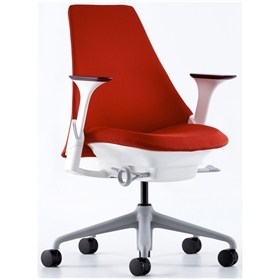 With its frameless back the Sayl chair allows the user to move more freely. Movement is good especially for blood flow and muscle movement.